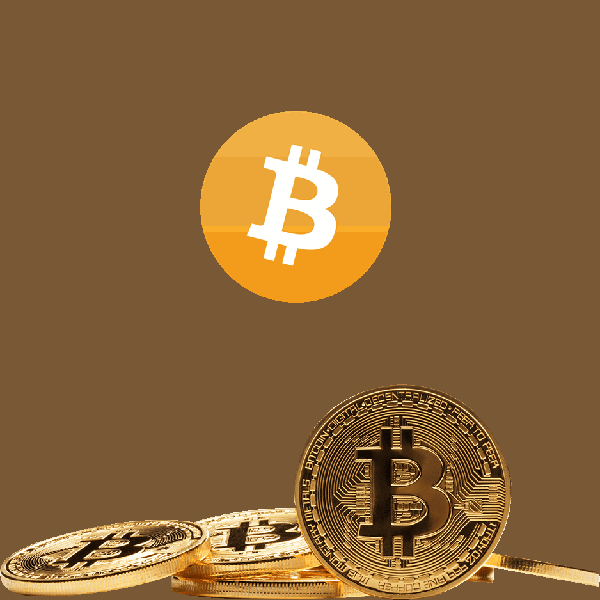 With so much profit and hype surrounding cryptocurrencies recently, it has been a popular trend to create accounts, store, and trade these digital currencies on sites like Binance, Coinbase, Bittrex, Bithumb and other popular exchanges. While using the wallet services provided by an exchange may be convenient for frequent traders, the security risks that these services have commonly faced are worth taking into consideration when deciding where to store your digital coin. These security issues have historically been the result of large exchanges getting hacked which handled high trading volumes and stored a high value of assets. In these events, the perpetrators would make out with anywhere from a few hundred thousand dollars all the way up to hundreds of millions of dollars worth of user funds. In the early days, these exchanges did not have sufficient reserves to backup these massive losses, and the funds would become lost forever. The main reason these exchanges face these crises is because many of them operate on a single, centralized ledger. Single ledger storage has been proven to be a dated technology that provides an open platform for experienced hackers to access user funds and sensitive data. While the currencies being traded on these platforms operate on a decentralized ledger, your account information and other personal details you hold on that platform are stored on the company’s ledger. Recently, there have been some exchanges that have aimed to operate under smart contracts and a decentralized structure, but these exchanges have yet to reach mass adoption in the crypto community. For the most part, the most widely used exchanges are centrally run and organized, both governance and database wise. If you have researched cryptocurrency projects, it is likely you have come across the word decentralized. In essence, decentralized structures are not run by a board or a small group of people. Instead, they are controlled by the users in conjunction with the founding team. This is made possible through token economies, where ownership of a company’s tokens provides you with voting power in their decision making engine. This type of structure has the community sold that it is the only way forward to completely remove fraud, identity theft, and malicious behavior from the internet. While this is the case for most all of the cryptocurrencies you buy and trade on your favorite exchange, the exchange itself is centrally operated. This means that these crypto exchanges are run like traditional companies – i.e. they have a board of directors who make decisions on how to run the company, and the database that stores all of the users information is stored on a single database owned by them. Rather than the distributed and hacker-proof structure of the blockchain, these central ledgers are a ripe target for seasoned hackers. A trader’s activity can be traced by these hackers, and this trail of information within one database helps lead these thieves back to your account information. From here, they can take multiple avenues to either fool you into sending money to a wallet that they own or simply steal the money from your account and route to their own wallet. Centralized structures are dated, and this is why infamous exchanges such as Mt. Gox have suffered giant losses at the expense of their loyal users. While exchange wallets present the risks we mentioned previously, there is a reason why traders continue to utilize them. When trading cryptocurrency between wallets outside of the exchange service, there are always fees and gas prices associated that take a cut each time you send some coins. So, if traders were to play it safe and do this each time they make a trade, the returns would be much less. While this method of storing crypto in more secure wallets outside of the exchange is much safer, it is simply not realistic for higher frequency traders who make multiple transactions daily. While wallets such as Shapeshift have made this process easier, it is still costly to transfer back and forth from an exchange. The main advantage of exchange wallets is their convenience and, sometimes, the incentives that exchanges offer for using their wallet. It is just easier to leave money in the wallet attached to the exchange so that you can instantly exchange your held coins for another. It is faster and cheaper, but albeit much less secure. A common practice for traders is to only store smaller amounts in the exchange wallets, while using a separate cold storage wallet to store the majority of their crypto holdings. As mentioned briefly, the big disadvantages of exchange wallets is their centralized structure. This structure provides easy access to hackers, who can easily identify newcomers who may be investing significant amounts of money into certain currencies. Without a blockchain to distribute your activity across millions of nodes, there is a single point of failure that if accessed, will compromise all of your sensitive information and holdings within that exchange wallet. In addition, each exchange only has partnerships with certain currencies, and new and exciting projects normally take time before they are listed on popular exchanges such as Binance or Bittrex. 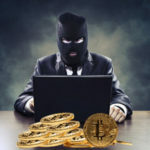 While these exchanges have the largest amount of coins to trade, they are also the most highly targeted by malicious hackers. These exchanges have been able to add layers of security protocols to their systems, but only time will tell if they will be able to prevent anymore large scale losses. One of the most important steps you can take, having a strong antivirus running while you surf these exchanges will provide a further layer of security over your activity and sensitive information stored on your device. By using a cold storage wallet, you can further diversify the spread of your crypto wealth across wallets, a common but effective method to scramble hackers attempts at tracing your activity back to a common point. Two-factor authentication is one of the most overlooked security measures used by modern exchanges. THose who do not utilize it are 70% more likely to have their accounts compromised. This method simply adds another layer to login, giving you passcode or other form of identity verification after normal login. This makes it much more difficult to hack accounts, due to the fact that this extra information is not stored anywhere on their servers. A common mistake, using public wifi gives hackers a virtual gate to enter into and access your data. These types of attacks would involve you being contacted by a “representative” of your exchange to provide sensitive information. So, also, DO NOT GIVE OUT YOUR PRIVATE INFORMATION TO ANYONE. Even though they may say they work for the exchange, no reputable exchange would ever request this of a user. So, exchange wallets must be used cautiously. They are central database storage systems that can be compromised. They are not as secure as the platforms that the coins they trade run off of, so it is important to practice safety when participating in crypto exchanges. Do your research on wallet services and compare and contrasts the benefits of them. Diversify your holdings in different accounts so that if one of them is hacked, you will not lose your entire crypto wealth. Use a virtual private network (VPN) when using your smartphone to further distance yourself from security breaches. Practice all of these techniques and you just may be able to avoid a hack within the exchanges you use.